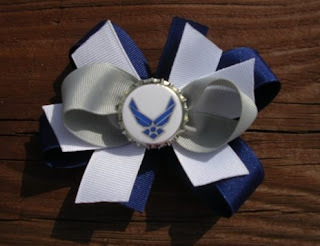 Bows by the Miles: Support Our Military! Do you have a favorite branch of the military? Is your husband, wife, father, mother, son, daughter, boyfriend, girlfriend, or other loved one serving in our military? Let me know what branch you would like to see represented on one of our hair bows!